Last week, we began our exploration of biomanufacturing–defining terms, introducing the different types of cells used in production, and explaining how manufacturers create cell banks to provide raw materials for the medicines some of us know and love. This week, we turn to how those cells ultimately result in finished products. Like biotechnology, manufacturing has its own lingo. For instance, the overall manufacturing process can be described in terms of “upstream” and “downstream” activities. Think of upstream like this: getting the stuff necessary to make stuff to sell. Once technicians thaw a vial of cells from a working cell bank, scaling up can begin. Scaling up, in this case, means transferring cells into successively larger bioreactors to accommodate enough growing cells for production. No scale up, no product. That’s because cells require a certain critical density to thrive. Just pouring a smallish vial of cells from a master cell bank into a 20,000 liter vat won’t cut it. A final bioreactor volume varies in size–anywhere from 3,000 liters to 100,000 liters. It all depends on the type of production cell and the desired amount of end product. For example, a typical manufacturing campaign based on CHO cells might last two weeks and result in a final volume of 20,000 liters. In contrast, a standard E. coli campaign takes only a few days, yielding an ultimate volume of 80,000 to 100,000 liters. The differences in time and final volume stem from how quickly different cell types divide. Under ideal conditions, E.coli splits once every 20 to 30 minutes or so, while the pokier CHO cells divide about once a day. Along the way, manufacturers examine cell viability, product concentration, and product activity. They also monitor the physical environment to optimize temperature, pH, nutrients, and oxygen. Finally, it’s critical to test for contamination by bacteria, yeast, or other microorganisms. To coin a phrase, one bad microbe spoils the bunch. 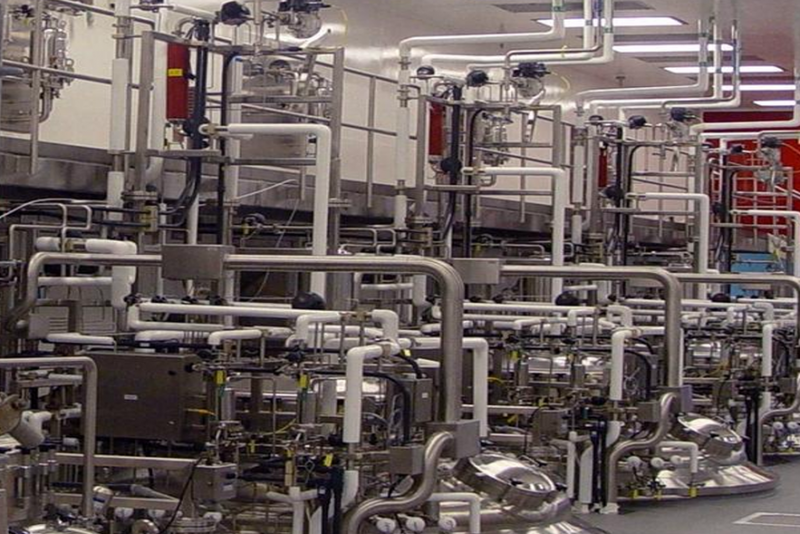 The FDA has established very strict protocols for maintaining aseptic manufacturing conditions. The downstream side of biomanufacturing takes the scaled-up “stuff” from the bioreactors and turns it into the end product. Once production cells reach maximum density, it’s harvest time. Different types of drugs require different harvesting techniques. Most biologics, such as antibodies, insulin, and growth hormones, are secreted from the production cells right into the growth media. Thus, the first step in harvesting our therapeutic proteins is to separate the growth medium from its vat mates—aka the production cells. This is done by high-speed centrifugation, which physically separates the solid cells from the liquid growth media. The growth medium contains a “soup” of proteins – not only the therapeutic protein that the production cells were engineered to produce, but also other proteins secreted by the cell, as well as proteins added to the growth medium as nutrients. The manufacturer needs to separate the therapeutic protein from all of these other proteins. Column chromatography is used to accomplish this purification. This process teases out individual proteins based on size, structure, or electrical charge. They all pass through a cylindrical column packed with a solid resin that catches different proteins. The proteins travel the column under gravity and with the application of moderate or high pressure (fast protein liquid chromatography or FPLC) or high pressure (high performance liquid chromatography or HPLC) to increase speed and resolution. Some of them flow through the column; others remain inside—to be washed off (eluted) under different conditions. For example, isolating a negatively-charged protein requires a resin with positive charges. When a protein soup goes into a “positively-resined” column, the neutral and positively-charged proteins pass through; the resin snares those that are negatively charged and makes them stay put. 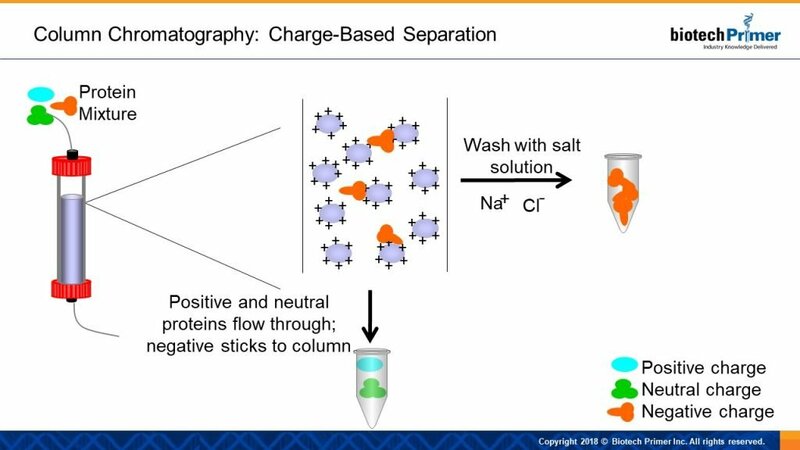 These “captured” proteins are later washed off the column with a salt solution–the positively-charged sodium ions peel the negatively-charged proteins from the resin. The proteins pulled off the column in this wash step are collected for further processing. Of course, the protein soup contains “extra” proteins other than the target protein that bear a negative charge. Typically, the proteins captured by the positively-charged resin will next be loaded onto another type of resin that sifts them out based on other characteristics such as shape or size. In some cases, a third round of this protein straining is necessary. Each therapeutic requires its own specific purification protocol. After purification, the manufacturer formulates the therapeutic protein according to its established research and development specifications. These requirements take into account factors such as product stability and delivery method. The company may use product excipients–pharmacologically inactive ingredients to enhance the drug product. These may include color additives, time release factors, and bulking agents such as mannitol. The manufacturer may also add ingredients that increase a product’s stability, such as antioxidants, buffers, and surfactants (to decrease clumping). Finally, the company establishes product fill concentration, adds the appropriate label, and packages the product for large-scale distribution. 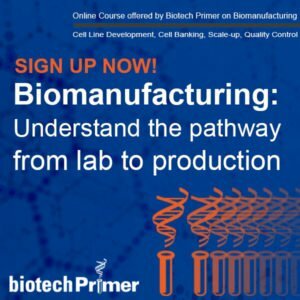 From engineering a production cell line to creating cell banks, then growing up large volumes of therapeutic protein-producing cells, to finally purifying and formulating the final product, biomanufacturing is a highly complex process. And of course, all of these steps must be carried out with careful attention to following current Good Manufacturing Practices (cGMP). 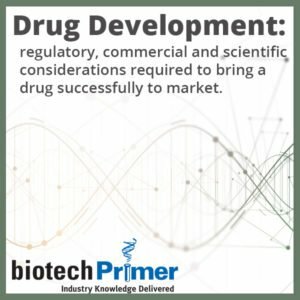 A thorough understanding of the process and variables that may affect it are critical to any company embarking on biologics production.